In this 3 part post, I will consider the pros and cons of using nutritional supplements, testing for deficiencies, what conditions they may help, and what brands to consider taking. Taking nutritional supplements is a controversial topic; there is no doubt about it. For every nutritionist, registered dietician, or other healthcare practitioner that prescribes and advocates taking supplements, there is another that believes “vitamins just give you expensive pee.” Many of us rely on nutritional supplements to promote and/or maintain good health but, the supplement industry is filled with opportunists and charlatans who produce supplements that are marketed well but are useless because they are barely absorbed. Some people believe that they can get all the nutrients they need through eating a balanced diet. But, poor digestion, poor food preparation, crash diets, and other issues (I’ll get to those in a moment), can prevent us from getting what we need from our food. When it comes to supplements, what should a reasonable person do to protect their health and insure the maximum quality of life? Any way you look at it, healthcare is a mess in this country. As more Americans than ever begin to take charge of their health, experts in mainstream medicine, the FDA, and others financially beholden to the pharmaceutical drug industry, have been taking steps to effectively neuter the alternative medicine and supplements industries for years. The irony is, substances derived from plants/herbs remain the basis for a large proportion of the commercial medications used today for the treatment of heart disease, high blood pressure, pain, asthma, and other problems. In April of this year, renown Canadian strength training coach Charles Poliquin, who has trained and/or consulted numerous world class athletes and professional sports teams, wrote this article: 10 Very Good Reasons for you to Take Supplements. I’ve paraphrased some of Charles’ very good reasons below. Foods contains many phytonutrients (organic components of plants found to promote human health) which the body needs. Many of these phytonutrients have yet to even be identified let alone reproduced in a laboratory. Supplements that may help: multi-vitamin/mineral. 2) Poor digestion –If our digestive systems functioned optimally, we wouldn’t need as many (high-quality) nutrients in supplement form-but that is not the case. It is estimated that one half of the U.S. population produces insufficient stomach acid, which then diminishes the ability to absorb nutrients from food and can increase inflammation, stomach bacteria, and can promote other health issues such as bloating, stomach pain, even depression. Low stomach acid has even been linked to a vitamin B deficiency. Supplements that may help: B-complex. Stay tuned for part II coming next week. *The information printed here is provided for educational purposes only and is not intended to diagnose, treat, prevent or cure any disease or condition and should not be construed as personal medical advice. 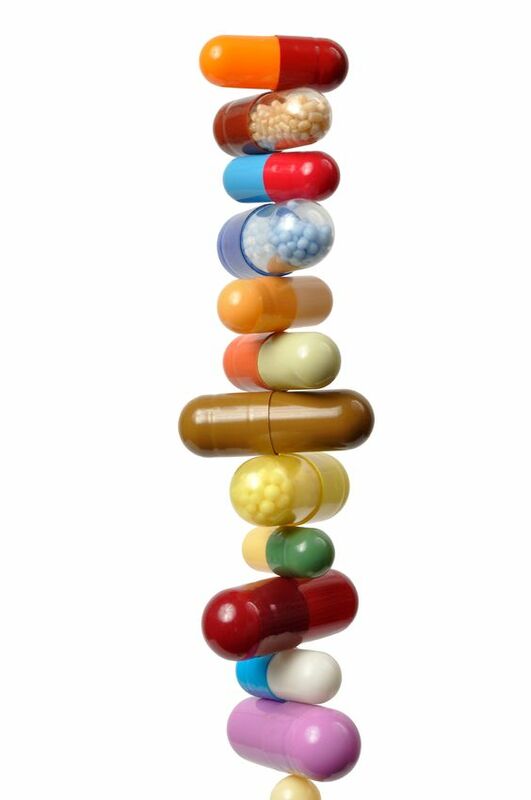 Check with your healthcare professional before beginning any supplement regimen.